Joel Gallant, MD, MPH, is the Medical Director of Specialty Services at the Southwest CARE Center in Santa Fe, New Mexico. He is Adjunct Professor of Medicine in the Division of Infectious Diseases at the Johns Hopkins University School of Medicine in Baltimore, and Clinical Professor of Medicine at the University of New Mexico School of Medicine. Lee W et. Selective intracellular activation of a novel prodrug of the human immunodeficiency virus reverse transcriptase inhibitor tenofovir leads to preferential distribution and accumulation in lymphatic tissue. Antimicr Agents Chemo 2005;49(5):1898-1906. Birkus G et al. Cathepsin A is the major hydrolase catalyzing the intracellular hydrolysis of the antiretroviral nucleotide phosphonoamidate prodrugs GS-7340 and GS-9131. Antimicr Agents Chemo 2007;51(2):543-550. Babusis D, et al. Mechanism for effective lymphoid cell and tissue loading following oral administration of nucleotide prodrug GS-7340. Mol Pharm 2013;10(2):459-66. Ruane P, et al. Antiviral activity, safety, and pharmacokinetics/pharmacodynamics of tenofovir alafenamide as 10-day monotherapy in HIV-1-positive adults. J Acquir Immune Defic Syndr 2013; 63:449-5. Sax P, et al. Tenofovir alafenamide vs. tenofovir disoproxil fumarate in single tablet regimens for initial HIV- 1 therapy: a randomized phase 2 study. JAIDS 2014. 2014 Sep 1;67(1):52-8. Gallant J, et al. Efficacy and safety of tenofovir alafenamide versus tenofovir disoproxil fumarate given as fixed-dose combinations containing emtricitabine as backbones for treatment of HIV-1 infection in virologically suppressed adults: a randomised, double-blind, active-controlled phase 3 trial. Lancet HIV 2016;3:e158-65. Eron JJ, et al. Switch to a raltegravir-based regimen versus continuation of a lopinavir-ritonavir-based regimen in stable HIV-infected patients with suppressed viraemia (SWITCHMRK 1 and 2): two multicentre, double-blind, randomised controlled trials. Lancet. 2010;375:396-407. 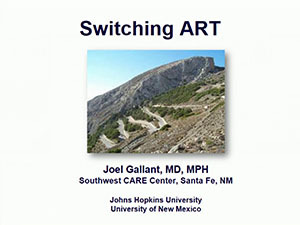 Joel E. Gallant, MD, MPH, is the Medical Director of Specialty Services at the Southwest CARE Center in Santa Fe, New Mexico. He is Adjunct Professor of Medicine in the Division of Infectious Diseases at the Johns Hopkins University School of Medicine in Baltimore, where he was previously the Associate Director of the Johns Hopkins AIDS Service. He is a Clinical Professor of Medicine at the University of New Mexico School of Medicine. 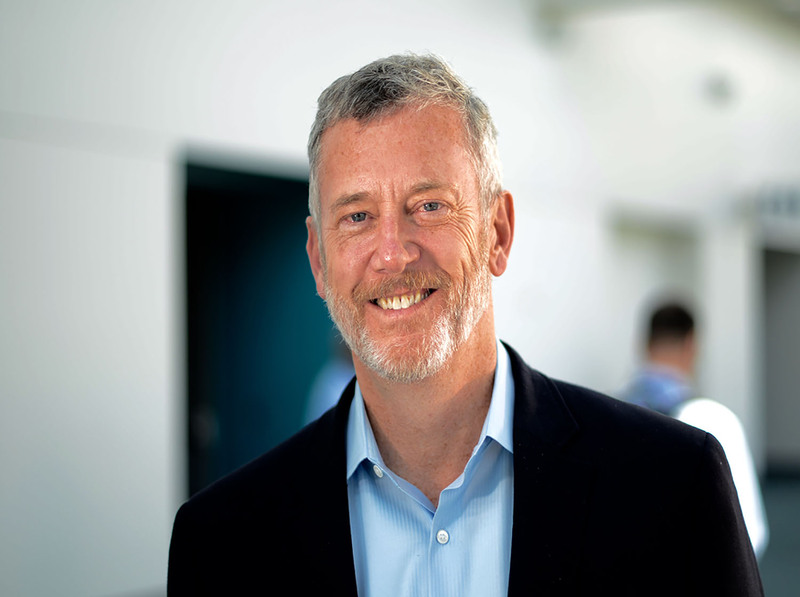 He conducts clinical trials on the treatment of HIV infection and viral hepatitis and has been an investigator in the HIV Prevention Trials Network (HPTN), the Multicenter AIDS Cohort (MACS), and the AIDS Clinical Trials Group (ACTG). He is a fellow in the Infectious Diseases Society of America and the American College of Physicians. He is Immediate Past Chair of the HIV Medicine Association and is on the Board of Directors of the International Antiviral Society-USA. He is a member of the IAS-USA antiretroviral therapy guidelines panel and the IDSA/HIVMA Panel for Primary Care Guidelines for the Management of Persons Infected with HIV. He is on the Infectious Disease Specialty Board of the American Board of Internal Medicine. He is the recipient of the 2006 HIV Clinical Educator Award from the IDSA/HIVMA. Dr. Gallant writes and speaks extensively on HIV infection and antiretroviral therapy.